​If you’ve been looking for the luxury of hardwood without the luxurious price, then choosing to install a laminate flooring option may be the route to take. We bring you the same level of variety and quality when it comes to these flooring options that we do with all others, providing you with the capability to style your home in the same means as all other flooring options we bring. When looking for quality laminate floors, you can rely on your local experts at Alexandria Hardwood to bring you the professional results you need. One of the key benefits to choosing laminate floors over that of traditional hardwood is the overall savings you can enjoy. Laminate is one of the most affordable flooring options you have at your disposal, and with the ability to mimic almost any other type of wood flooring option out there, you have the means to choose even the highest grade of this option while staying under half the price of standard hardwood options. If your budget is at the forefront of your mind, you can be sure that Alexandria Hardwood is here to ensure that it doesn’t mean you have to sacrifice beauty. Laminate flooring is made to copy the look of traditional hardwood at a much lower price point. Over the last few decades, the quality of this material has only grown, while remaining at an affordable cost. This allows you to set a beautiful foundation to newly built homes, or provides a quality and beautiful option for homeowners deciding to redo their flooring. When choosing this material for your flooring needs, you can rely on Alexandria Hardwood to present you with the largest variety of choice in order to bring you the results you seek. Laminate flooring is an extremely durable option for your home, providing your floors the protection needed to stand up to the wears and tears of everyday use. This option is also great for homes with allergy sufferers, as the material is dust resistant, and doesn’t absorb allergens like carpet. The overall cleaning process is simple and quick, and provides you with a flooring option that brings a lot of benefits within its low price. Alexandria Hardwood brings you a wide variety of styles, textures and colors for you to choose from in order to have your floors looking beautiful and strong for life. 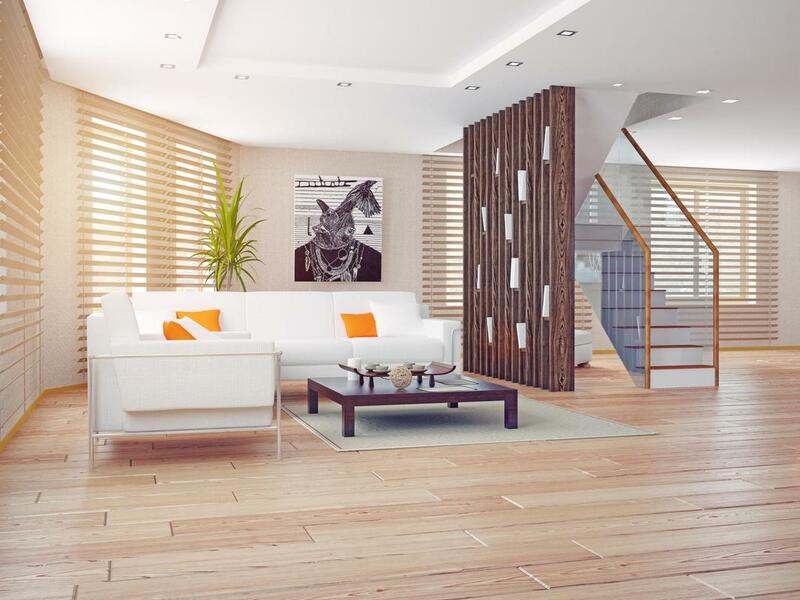 One key drawback to choosing laminate flooring is the ease in which it suffers water damage. Water and hardwood aren’t good matches in general, but laminate flooring getting water into its core is especially damaging. Therefore, choosing this material for bathrooms and other areas of high moisture isn’t advised. The material is highly scratch resistant but for pet owners, especially large dogs, may want to consider another choice as the strength of the material just isn’t enough to hold up to that level of stress. Outside of those circumstances though, you can depend on laminate to bring you the beauty and strength you’re looking for.